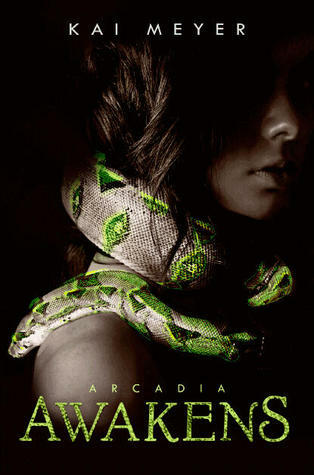 So when I heard that Arcadia Awakens by Kai Meyer was being published here and was originally published in Germany, let's just say I was more than a little interested. And I don't regret it in the slightest. -Even though I found it hard to empathize with Rosa, the main character, I felt like she was real. I could picture someone like her actually existing. She was her own, and I liked seeing her growing in the novel, seeing her trying to forgive herself. -The romantic interest is more than a little scary at times. That's the thing about the characters though - Meyer lets them be who they are, which makes them more interesting IMO, flaws and all. Alessandro was a bit manipulative, and hell, he grew up in a mafia family, so some of his instincts... yeeeaah. But that's why he, like Rosa, felt real, and why I loved their romance. -The setting. Oh gawds. I wish I could go to Sicily now. -Mafia + paranormal romance + Sicilian setting = win. -The writing was a little choppy (perhaps due to the translation? ), and sometimes there were unnecessary scene breaks (I also wondered why the scenes were even there), but it was also lush and so descriptive I couldn't help but think that Meyer had to have visited Sicily at some point or has a very, very strong imagination to have brought that place to life. I'd say fans of Colleen Houck's Tiger Saga would like this as well as any fan of paranormal romance who's looking for something new and refreshing.